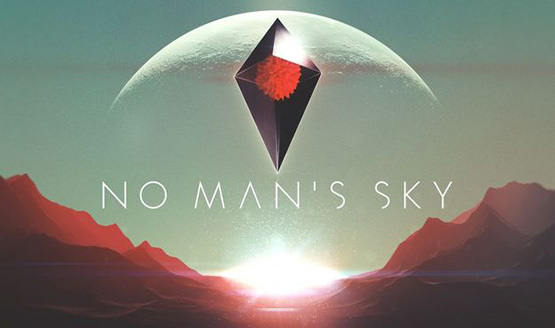 Welcome to PlayStation LifeStyle’s Trophy Guide for No Man’s Sky! Among the planets and stars, there are only 23 Trophies to be earned. This Trophy list is a little different than most games. There are 23 Trophies, but they are only tied to eight different actions. This Platinum is very obtainable, it’s just very time consuming. All of your progress toward the Trophies can be tracked in game by pressing the Options button and Pressing either L1 or R1 to the Journey tab. This game tends to crash rather frequently. Be sure you’re saving your progress as much as possible. Hopping in and out of your ship will also save your game if you’re away from an outpost. Spoiler Warning: There are spoilers within this guide. If you’re trying to avoid spoilers, it is recommended that you complete the game before reading any further. See the Trophy “Galapagos” for more details. See the Trophy “A Space Odyssey” for more details. See the Trophy “The Diamond Age” for more details. See the Trophy “Citizen of the Galaxy” for more details. See the Trophy “What Mad Universe” for more details. See the Trophy “The Forever War” for more details. See the Trophy “The Sentinel” for more details. See the Trophy “Have Spacesuit – Will Travel” for more details. You will need to scan all animals on 10 different planets to reach Encyclopedia. To scan an animal, you must first have an Analysis Visor equipped to your Multi-Tool. Once you have that, hold L2 to aim it and just point it at any animals you see nearby. When using your Multi-Tool scanner, any animals that have a red dot on them have not been scanned yet. A green dot will indicate that you have already scanned that creature. The majority of the animals will be found on land but some can also be found in the air, in caves and in bodies of water. Keep in mind that there can also be more than one type of flying or swimming creature on the same planet. The list of animals for whatever planet you’re on can be found by pressing the Options button. As you find them, they will change from question marks to their names with a green check mark. Once you have scanned all of the creatures on a planet, hold the X button where it says “100% Upload for Credits” to register the planet as completed. They will not count unless you do this. Luckily, there are also some planets that have no animals on them. You can hold X on the 100% box to upload that there are no creatures and this will count towards the Trophy. As you work toward registering all creatures on 10 planets, you’ll also unlock “A Scanner Darkly” and “The Star Beast” Trophies. This Trophy is unlocked by warping between systems 60 times. Before you can warp, you’ll need to get a Hyperdrive, which is one of the first objectives you’re given. In order to warp, you’ll need to build Warp Cells. Warp Cells need 100 Thamium and 1 Antimatter. So, make sure you’re keeping an eye out for those materials as you explore the universe. To check how many times you’ve warped, press the Options button, and then R1/L1 to go to the Journey tab. As you work toward 60 warps, you’ll also unlock “The Stars, Like Dust” at three and “The Longest Voyage” at 30 warps. To obtain this Trophy, you’re going to need to have 2,000,000 credits. This Trophy is not cumulative. You will need to have the 2,000,000 total on you at one time. It may seem like a lot, but luckily, it won’t take too long to reach. You get credits for doing just about anything in this game. You can scan plants and animals and upload them for money. Uploading all creatures on a planet will earn you money in the hundreds of thousands range. That will just depend on how many creatures can be found. You can also sell materials at any vendors you may find. An easy farming method is to fly around a Space Station blowing up meteors and then selling the materials that come from them to the vendor on the Station. As you save credits, you’ll unlock “Foundation” at 250,000 and “The Space Merchants” at 1,000,000 credits. To earn this Trophy, you’ll need to learn 150 alien words. Words can be learned by interacting with Ruins, Monoliths, aliens and Knowledge Stones. All of these can be found on every planet and they are marked with a purple icon on your HUD when scanned. To check how many words you’ve learned, press the Options button, and then R1/L1 to go to the Journey tab. As you learn different words, you’ll unlock “Babel-17” at 10 words and “The Languages of Pao” at 50 words. This Trophy requires you to meet 40 aliens. Aliens are found on every planet. They are at trading posts, Space Stations and shelters. Each planet is different, so you’ll have to explore the planets you visit to find them. To count an alien as met, you just need to interact with them. To check how many aliens you’ve met, press the Options button, and then R1/L1 to go to the Journey tab. As you meet aliens, you’ll unlock “Contact” when you’ve met two aliens and “Who Goes There” when you’ve met 20 aliens. This Trophy requires you to blow up 80 Starships. Starships can be found flying around on every planet and in space near Space Stations. You’ll need to be in your own Starship to fight others. Get them in your sights and hold X to fire on them. They’re fairly easy to take down, just make sure you have the materials necessary to repair or replenish items on your ship because they will fight back. To check how many ships you’ve destroyed, press the Options button, and then R1/L1 to go to the Journey tab. As you destroy ships, you’ll unlock “Use of Weapons” when you’ve destroyed one ship and “Pattern for Conquest” when you’ve destroyed 50 ships. To unlock this Trophy, you’re going to need to survive 32 Sols without dying on an extreme planet. A Sol is an in game day on a planet. There is no set time for a Sol as the day length is different for each planet. This Trophy is cumulative, so if you leave an extreme planet and go to another one, your counter will still continue. In my experience with the game, extreme planets have been rare. When you land on a planet and get out of your ship, the planet’s stats will be on the lower left corner of your screen. It has to say extreme in red text in one of the descriptions for weather, security, fauna or flora. You’ll also be notified by the female Exosuit voice when you land that the planet has an extreme characteristic. If you’re not sure if the planet you’re on is extreme, press the Options button, and then R1/L1 to go to the Journey tab and look at the third statistic from the bottom. If the counter is going up, you’re on the right planet. The counter will only increase if you’re outside. It will stop counting if you’re in your ship or a building. You can explore on foot, but be sure to have the materials needed to replenish your Exosuit. An easy, but boring way to unlock this is to stand next to your ship or a building and just wait. When your Exosuit gets low, jump in your ship or enter the building and it will replenish on its own. If you’re attacked, entering a building will stop the attack as well. This method, albeit boring, will save materials and give you a quick out in case of an attack. Extreme night time temperatures and storms on normal status planets will not count toward this Trophy. You’ll unlock “Stranger in a Strange Land” when you’ve survived 20 Sols. This Trophy will require you to walk 100,000 steps. This will come over time as you play and explore the various planets you discover. Anytime you’re on foot walking or running, the game is counting you steps. This will be one of those Trophies that will come without having to go out of your way. To check how many steps you’ve taken, press the Options button, and then R1/L1 to go to the Journey tab. As you explore planets, you’ll unlock “Symphony For A Lost Traveler” once you hit 50,000 steps.